We marry design and engineering language in ways that produce impactful and memorable experience journeys. We partner all the way to continuously improve our clients’ digital maturity. Our Studio network brings the optimal combination of skill, scale, and cost for each stage of the product development lifecycle. Must Have Skills: Manual Testing, Database Testing, SQL Scripting, Unix Scripting, Webservices/API Testing (Restful). Good to Have Skills: Automation Testing, Core Java, Python/Perl, Big Data concepts. Good experience in Data Loading, Data Transformation, and Data validation process. Analyzing and evaluating data sources, data volume, and business rules. Hands-on SQL experience in writing complex queries using joins, aggregate, string, set and date functions. Experience in using basic Unix Scripting (Grep, Pipe, Sed, Awk, Unix & basic commands). As a member of the Data Services and Integration team, the Oracle SOA Developer will be responsible for developing, maintaining and supporting integration applications. This position requires leading edge skills in the latest areas of system integration technology and service-oriented architecture. 3+ years of overall experience in developing, maintaining, and supporting integration applications. Good understanding on Java/J2EE and OOPS Concepts. Knowledge of Oracle Service Bus, Oracle B2B application, and Oracle MFT is additional. Strong hands-on experience in use of Adapters, Mediator and Queues. Hands-on experience in the use of industry standard messaging standards like EDI, OAGIS XML, etc. Some Experience in the use of database technologies involving the use of SQL, Procedures, Triggers, DB Links with reference to the integration requirements. Interact with software engineers, quality engineers, technical writers, and product management to understand customer needs, and then implement and test high-value features and product functionality. Experience working with cloud technologies such as AWS, OpenStack, EC2, Vsphere, Azure, etc, or a willingness to voraciously learn about cloud technologies on the job. Experience working with software engineering source control management and build tools (e.g Jenkins, Rational, Perforce, etc.). 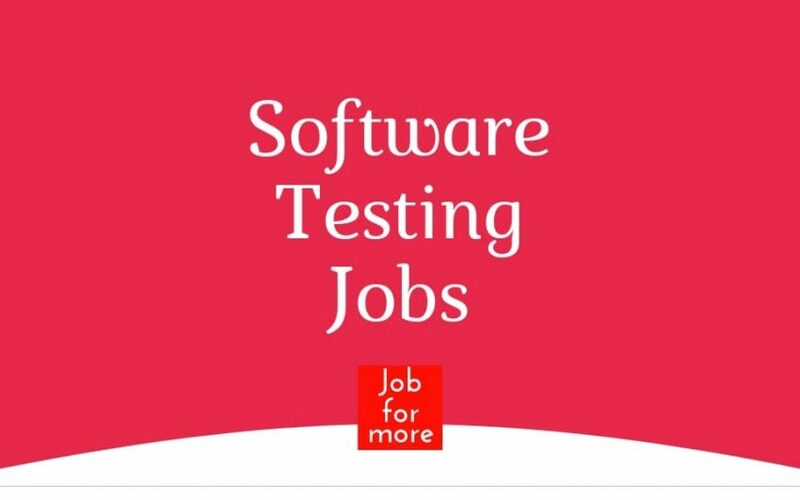 3+ years of software testing experience focused on SaaS or Enterprise software product development. Maintains ownership for the resolution of complex technical problems, including debugging, simulations, locating bugs, tool and script development for problem diagnosis, troubleshooting and reproduction. 1 to 5 years of experience. Core Java , J2EE , EJB , JBOSS , WebLogic. Knowledge of SQL Queries and Unix. Knowledge of Kenan Product / Billing Product is an added advantage. 4+ years of Experience in Java/J2EE technologies – development of high-volume, high-performance, high-availability applications as a Full-stack developer. Design and development of RESTful Web Services or MicroServices. Strong in UI Technologies Java Script, Angular JS. Hands on database experience (Oracle / PostgreSQL / MySQL / SQLServer). Hands-on experience with developing web applications leveraging Spring Framework. Expertise in Object Oriented Programming, and programming proficiency in Java. Must have deep technical knowledge in multiple areas like automation, service virtualization, DevOps, TDM. Expertise in test automation using functional and unit/integration level tools like JUnit, TestNG, NUnit, WebDriver, JMeter, SoapUI, Ranorex, SeeTest, FitNesse, Cucumber. Proven track record in agile, test-driven development, behavior-driven development, continuous integration, and automated testing. Zynga is looking for a Senior Software Engineer to build and maintain the large-scale backend data tracking pipeline for all Zynga games. We have an extremely data-driven culture and we use and process data in real time to generate insights about our games and players. Production experience in Java, Python, or PHP applications. Experience working with Linux servers. Experience building high-performance, large-scale applications and reliable software. Good understanding of database systems including SQL, a solid understanding of both relational and NoSQL database technologies. Experience with cloud environment like Amazon’s AWS, and supported services such as ECS, SQS, Lambda. Experience with Vertica/Redshift and ETL. Experience with mobile SDK development, especially in C++, Unity, C#. Understanding of Android and iOS platforms. We are looking for a QA engineer to help us build out the testing suite for high scale Node.js platform and implement automated solutions for continuous integration and deployment. You will be assisting us in test cases design, documentation, and automate them for smooth integration into our workflow and ensure that quality issues and defects are appropriately reported, tracked, and resolved in our defect tracking system. You will be working with a small agile team of engineers and will have the opportunity to work directly on the latest tools and technology. Knowledge of various automated software testing tools. Knowledge of continuous integration/continuous development practices & accompanying tools. Experience with Restful API testing – Postman jetpack/Newman, RestAssured. Manage test schedules, track and monitor the distribution of work & effectively communicate test progress. As a Software Engineer working on the core features of Simulink, you will be responsible for all stages of software development including requirements specifications, architecture, design, implementation, and testing. Design and develop mission-critical, secure, highly available and scalable cloud-based services and platforms. Contribute to AI drove Enterprise Products and ability to ramp up in the space. Excellent skills in design, debugging and problem-solving. Experience in software development skills with fluency in C#, R, Python, Java, or relevant programming languages. Experience with AI, Machine Learning and Big Data are pluses. Leads the improvement of test coverage for all products through design and implementation of automated testing processes. Lead the improvement of software development process through all teams in accordance with Total Quality Assurance best practices (including, but not limited to, project management, development, business, operations, reporting, and Quality Management). Develops test automation tools and frameworks with fellow automation engineers. 3-5 years of relevant experience with a Bachelor’s degree in Computer Science or equivalent experience. Proven track record of designing and developing test automation. Solid understanding of modern operating systems and browsers. Solid understanding in managed C style languages (Java, C#, etc.). Solid understanding of Agile development. Experience with software testing tools, defect and test case management. Experience with TDD and distributed systems. Oversee all aspects of technical support and operations (L2,L3) including core production support functions: Incident Management, Change Management, Problem Management and lead an application support team responsible for supporting highly business critical applications (portfolio). Strong (2-4 years) domain knowledge in retail Supply chain applications and very good Mainframe TSO, JCL, DB2 SQL, COBOL application troubleshooting and debugging skillset. Design, develop, document, and maintain automated testing assets. Participate in application code reviews. The position holder will be responsible for understanding requirements, creating test scenarios, test scripts, preparing test data, executing test scripts and reporting defects and reporting results to test lead. Working knowledge of essential website and product testing methodologies. Database Testing/ Validation: Knowledge of SQL, Oracle 11g, SQL developer. Knowledge of LINUX will be a plus. Knowledge of Performance testing will be a plus. To work as part of the iProcess Engineering team in the QA team for Manual and Automation testing. Understand the functionality being developed and create comprehensive and well-structured test specifications and use cases that will exercise the functionality. Generate Test Data and execute Functional and Regression Testing. Minimum 1-2 years of Experience in Software Quality Assurance. Experience in Product Testing with good Automation knowledge. Experience in developing and executing manual and/or automated test suites. Work experience in Selenium/Silk Test is must with knowledge of Framework. QA Tester to assess software quality through manual and automated testing. 3 – 6 years of Software Quality Assurance Experience. 1+ years of web/mobile automation experience in Selenium/Appium with Java. Must have hands-on experience with test frameworks like JUnit/TestNG etc. Worked on API testing with Rest calls.